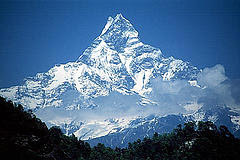 Peak Energy: An "Eco DeathStar" for Dubai ? 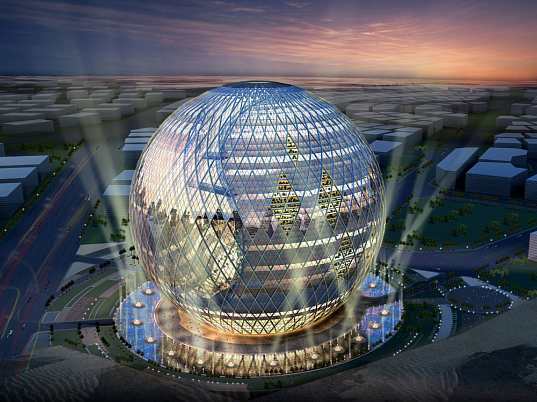 An "Eco DeathStar" for Dubai ? Green Building of the week is this unusual dome proposed for Dubai - James Law’s Technosphere is an Eco Deathstar for Dubai. Like an non evil, sustainable version of the Deathstar, the Technosphere by James Law Cybertecture replicates the Earth as a structural concept. Inside the eco-sphere is an entire world which serves as a vehicle to explore the issues of self-sustaining life on a smaller level. Although not nearly as self-sufficient as the Biosphere 2, the Technosphere is meant to reflect the state of our planet in current and future times. Proposed as an iconic building for the Technopark of Dubai, the eco-sphere would be a carbon neutral tourist attraction as well as a place in which to live and work. 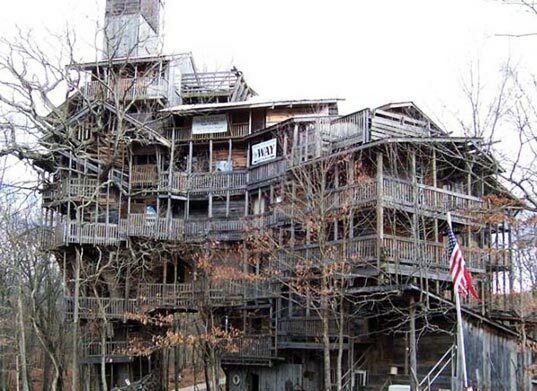 ALso at Inhabitat, this enormous tree house - World’s Tallest Treehouse Built From Reclaimed Wood.